Make sure you stop by the registration booth to pick up your credential as well as event information and an awesome gift from the NFCA. ***Access into any and all NFCA Convention sessions requires a credential and lanyard. ***Credentials must be worn at all times during the annual Convention and may be obtained on-site at the NFCA Convention registration desk. ***Please note, security will monitor entry into all of the Convention sessions and access will not be permitted without the appropriate accreditation. ***Maybe you could add a photo that has "#NFCAPlayBall"
NFCA Executive Director Carol Bruggeman, USA Softball standout Amanda Chidester, and NFCA Hall of Famers Sheilah Gulas (retired), Rhonda Revelle (Nebraska) and Ralph Weekly (Tennessee) share insight on 'lessons learned' throughout their careers and offer valuable tools on how to tackle challenges on and off the playing field. Bo Hanson (Athlete Assessments) will provide a 'how to' for developing and sustaining an effective team culture. The seminar is jam-packed with examples and activities to provide you with a complete tool kit to use with your own team. Learn from someone who is experienced, and has an exceptional track record getting great results. Is this your first time attending the NFCA Convention? Join other "rookies" as this panel of veteran coaches takes you through the jam-packed schedule and highlights must-attend events. Meet a new friend or two at this informative session. All registered attendees are invited and encouraged to attend this year's conversation starter: Pregame Chatter. Pre-Game Chatter is an opportunity for coaches of all levels to come together and address current issues in the sport at the beginning of the 2018 National Convention. Oftentimes the Convention serves as a the launching point for ideas, brainstorming sessions, and a space that is conducive to respectful dialogue between colleagues; it is the intent of the NFCA Board of Directors to provide an opportunity to open the Convention with a session to set the tone for the exchange of many ideas throughout the week. There is nothing more exciting than the first pitch of a ballgame. The same is true for our "First Pitch" opening session! 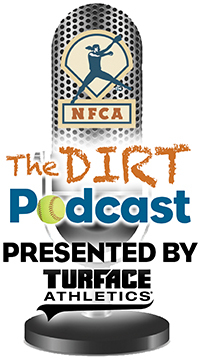 You'll hear from NFCA President Karen Weekly (Tennessee) and NFCA Executive Director Carol Bruggeman. The highlight of this session is our keynote speaker, Holly Rowe. Come join us at the USSSA Leadoff Reception! A two-hour event filled with networking, free food, beer and wine! Credential and lanyard required - NO EXCEPTIONS"
Invitation only meeting for representatives of the Head Coaches Committee to discuss relevant Division I topics and to prepare for the Division I Caucus. Invitation only meeting for representatives of the Head Coaches Committee to discuss relevant Division II topics and to prepare for the Division II Caucus. Invitation only meeting for representatives of the Head Coaches Committee to discuss relevant Division III topics and to prepare for the Division III Caucus. Come for a time of encouragement as FCA Softball Director Dana Jenkins leads a devotional aimed specifically at the trials a coach may face. 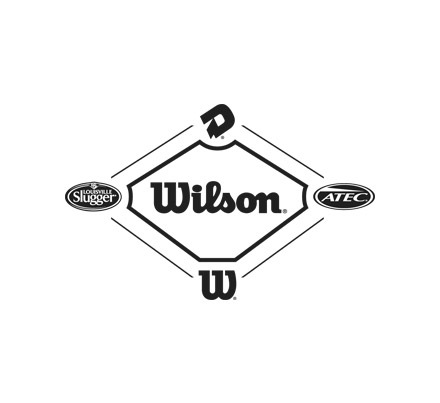 "Bring all of your friends and keep the party going as Wilson Sporting Goods hosts this evening's afterparty. Free beer and wine. Credential and lanyard required - NO EXCEPTIONS"
Coach Jen Williams (Dartmouth) will lead fellow NFCA Convention attendees for a group workout session to start your day off right! Coach Cassie Moore (Bethany College) will lead fellow NFCA Convention attendees for a group yoga session to start your day off right! 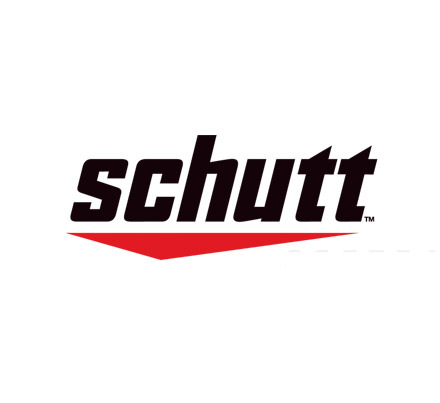 Grab a bite to eat before your morning meetings, provided to you by longtime NFCA Official Sponsor Schutt Sports. Only NCAA Division I NFCA members may attend and propose items for consideration by the group and have a voice/vote during the caucus. The premier business event of the Convention, the NCAA Division I Caucus brings together the membership group to discuss current issues, review and discuss pending legislation, create action plans for future changes to the game and collaboratively shape the sport for the future. Only NCAA Division II NFCA members may attend and propose items for consideration by the group and have a voice/vote during the caucus. The premier business event of the Convention, the NCAA Division II Caucus brings together the membership group to discuss current issues, review and discuss pending legislation, create action plans for future changes to the game and collaboratively shape the sport for the future. Only NCAA Division III NFCA members may attend and propose items for consideration by the group and have a voice/vote during the caucus. The premier business event of the Convention, the NCAA Division III Caucus brings together the membership group to discuss current issues, review and discuss pending legislation, create action plans for future changes to the game and collaboratively shape the sport for the future. Only NAIA NFCA members may attend and propose items for consideration by the group and have a voice/vote during the caucus. The premier business event of the Convention, the NAIA Caucus brings together the membership group to discuss current issues, review and discuss pending legislation, create action plans for future changes to the game and collaboratively shape the sport for the future. Only NJCAA NFCA members may attend and propose items for consideration by the group and have a voice/vote during the caucus. The premier business event of the Convention, the NJCAA Caucus brings together the membership group to discuss current issues, review and discuss pending legislation, create action plans for future changes to the game and collaboratively shape the sport of the future. Only Travel Ball and High School NFCA members may attend and propose items for consideration by the group and have voice / vote during the caucus. The premier business event of the Convention, the Travel Ball/High School Caucus brings together the membership groups to discuss current issues, review and discuss pending legislation, create action plans for future changes to the game and collaboratively shape the sport for the future. The premier business event of the Convention, the International Caucus brings together the membership group to discuss current issues, review and discuss pending legislation, create action plans for future changes to the game and collaboratively shape the sport for the future. Meet NCSA’s recruiting experts to learn about softball recruiting, including when student-athletes should start the recruiting process, how to proactively reach out to college coaches and much more. They will also be demonstrating their team product, which helps club coaches simplify and manage their athletes’ recruiting. With another SOLD OUT show, the exhibit hall opens its doors to attendees at 11:00 a.m. It’s your opportunity to discover innovative products, apparel and services. Stop by to build relationships that may benefit your team in the future. Quick Pitch, presented by HitTrax At the Victory Club Luncheon, head and associate head coaches receive recognition for milestone victories obtained during the 2018 season. Enjoy lunch and conversation while honoring your peers. The exhibit hall is open to convention attendees on Dec. 6 and 7. The growth of our sport depends on the investment of these entities, so come show your support! Continue your exploration of the exhibit hall with a beer in hand as Scrap Yard Sports hosts your only NFCA Convention Happy Hour! 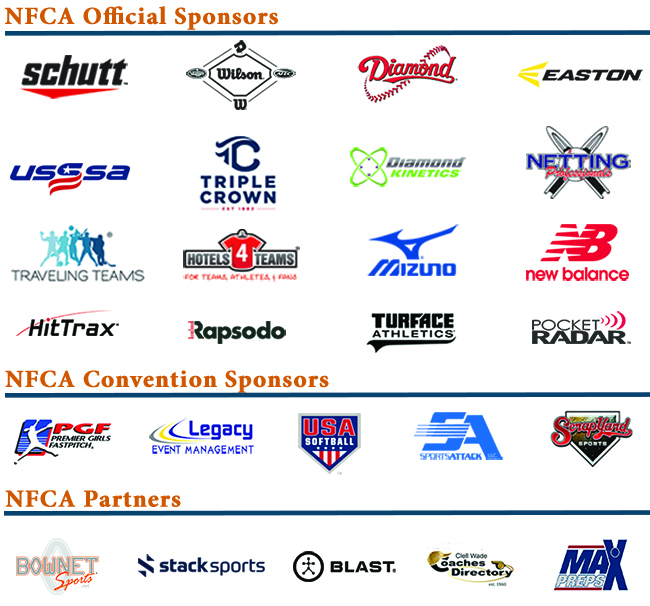 NFCA items and company products will be on hand to give away throughout the evening. Join other LGBT and ally coaches to discuss various topics on diversity and inclusion. It's a great forum to ask questions, share information, or just listen to best practices for helping student-athletes thrive as valued members of their teams. Discussion on university and athletic department policies and resources for staff, coaches, and administrators along with training for athletic teams and staff will be addressed. One of the most anticipated events of the week! Grab a seat next to some of the best and the brightest in the game! This event pairs coaches from all membership categories for conversation and promotes professional growth and networking between coaches at all levels of the game. You do not want to miss this!! Are you the type of coach who just can't get enough programming? Well, this one is for you. Join member coaches for an extra-innings discussion on hitting. Designed to be an informal sharing of ideas and best practices, the conversation is open to any registered convention attendee. Discussion led by: Eric Oakley, Kent State; Chris Malveaux, Missouri; Christi Musser, Grand Canyon; and Kristi Villar, South Dakota State. Are you the type of coach who just can't get enough programming? Well, this one is for you. 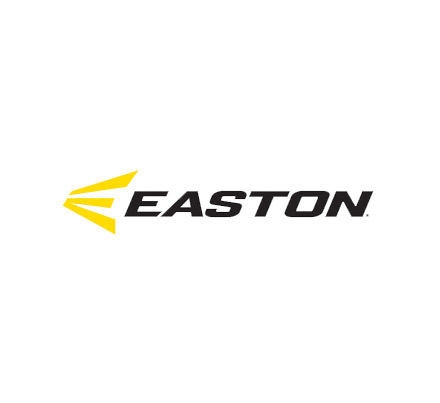 Join member coaches for an extra-innings discussion on pitching. Designed to be an informal sharing of ideas and best practices, the conversation is open to any registered convention attendee. Discussion led by Boo DeOliveira (Purdue); Kathy Rodolph (New Mexico State); and Lori Sippel (Nebraska). Are you the type of coach who just can't get enough programming? Well, this one is for you. Join member coaches for an extra-innings discussion on work/life balance. Designed to be an informal sharing of ideas and best practices, the conversation is open to any registered convention attendee. Discussion led by Shonda Stanton, Indiana; Samantha Ekstrand, NFCA Legal Counsel; and Kelly Ford, Cal State Fullerton. You're pretty much guaranteed to have a great time when Diamond Sports and PGF are involved, so stop by Pinstripes (offsite) to enjoy an evening of fun and socializing! Free food, beer and wine will be on hand from 10pm-1am. Credential and lanyard required - NO EXCEPTIONS!" Only High School NFCA members may attend and propose items for consideration by the group and have a voice/vote during the caucus. The premier business event of the Convention, the High School Caucus brings together the membership group to discuss current issues, review and discuss pending legislation, create action plans for future changes to the game and collaboratively shape the sport for the future. Only Travel Ball NFCA members may attend and propose items for consideration by the group and have a voice/vote during the caucus. The premier business event of the Convention, the Travel Ball Caucus brings together the membership group to discuss current issues, review and discuss pending legislation, create action plans for future changes to the game and collaboratively shape the sport for the future. Only Cal JC NFCA members may attend and propose items for consideration by the group and have a voice/vote during the caucus. The premier business event of the Convention, the Cal JC Caucus brings together the membership group to discuss current issues, review and discuss pending legislation, create action plans for future changes to the game and collaboratively shape the sport for the future. Panelists: Tracie Adix-Zins (DePaul); Jake Combs (Indiana); Griffin Joiner (Louisville); Sharonda McDonald (Campbell); and Tori Tyson (Howard). The exhibit hall includes over 100 companies and is open to Convention attendees on Dec. 6 and 7. The growth of our sport depends on the investment of these entities, so come show your support and discover innovative products, apparel and services and cultivate relationships that will ultimately benefit your teams! Meet NCSA’s recruiting experts to learn about softball recruiting, including when student-athletes should start the recruiting process, how to proactively reach out to college coaches and much more. They will also be demonstrating our team product, which helps club coaches simplify and manage their athletes’ recruiting. Invitation-only event for Coach Emeriti members to enjoy fellowship, discuss relevant topics within the sport, and to engage our Coach Emeriti members in NFCA educational offerings. A highly-anticipated event in the exhibit hall, stop by the auction tables for deals and promotions involving your favorite companies. 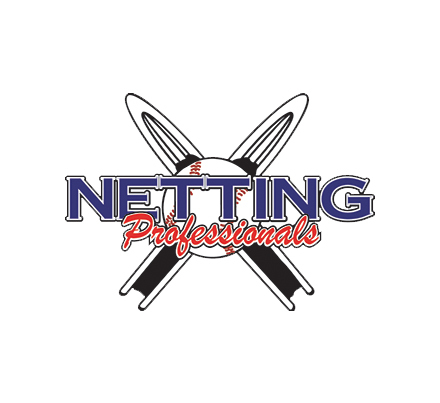 Items may include: equipment, tournament fees, pitching machines, travel vouchers, gift packages and much more! NFCA Official Convention sponsor, Sports Attack, will also raffle off one FREE Junior Hack Attack pitching machine to be shipped straight to your door post-Convention. Stop by booth 612 to enter! This 'must-attend' event affords the entire membership the opportunity to hear relevant issues surrounding the sport from various softball dignitaries. The Association will also recognize the Donna Newberry 'Perseverance' and Humanitarian Award winners as well as our membership ONE DRIVE grand prize winner and out-going Board of Directors members. You asked, we listened! This year's programming is designed specifically for the travel ball and high school coach. Join us for a special night as Salisbury head coach Margie Knight, North Davidson High School head coach Mike Lambros (posthumous) and Tennessee co-head coach Karen Weekly will be inducted as the Class of 2018. If you would like more information on the Texas Woman's University master's degree program this is the place for you. Come meet with TWU staff and learn how you can combine your love for coaching with an advanced degree. Come join us for brunch as we celebrate the accomplishments of fellow coaches; honoring our Easton/NFCA Assistant Coaches of the Year and NFCA Regional and National Coaching Staffs of the Year. This course covers all aspects of creating and executing dynamic team practices: including time management, player and staff involvement, making adjustments and using all resources to keep players engaged. Practice plans "come to life" during the on-field portion of this class. Live team practice brings the classroom to the field, under the direction of industry leaders.